February 17, 2016 (Cleveland, Ohio)—To support ongoing growth goals, StreamLink Software, creator of leading grant and board management software products, appoints Raleigh Guice as vice president of inside sales and Kevin French as vice president of customer success. Effective February 16, Guice will oversee the company’s inside sales practice, responsible for net new sales. He is charged with optimizing sales operations, driving customer acquisition strategies, and reporting. Prior to joining StreamLink Software, Guice served as the senior director of sales and service for Isolite Systems, a medical technology company in Santa Barbara, Calif. He has also held senior-level positions with Den-Mat Holdings, Premier Farnell and Progressive Insurance. Guice brings more than 20 years of experience to StreamLink Software in marketing, sales and customer service. He has excelled in small, high growth environments as well as larger businesses, with teams greater than 150 full-time employees and direct revenue responsibility up to $100 million. French will oversee customer satisfaction and retention efforts as vice president of customer success. Key responsibilities include driving customer satisfaction, onboarding, training, and scaling the company’s support operations. As vice president of sales, French managed the growth of both grant management and board management products. He brings 15 years of experience in both the for-profit and nonprofit sectors. Prior to StreamLink Software, French served as the manager of employee and community partnerships in the Cleveland Clinic’s community outreach department. 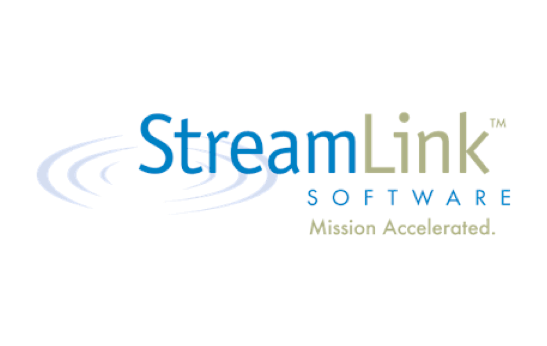 Founded in 2008, StreamLink Software (www.StreamLinkSoftware.com) designs, develops and markets leading-edge process management tools for nonprofit and public sector institutions. The company’s flagship grant management solution, AmpliFund, captures grant information as data and automates hundreds of complex activities throughout the grant lifecycle. Its board management portal, BoardMax, helps organizations engage and communicate with board members. Both products are high-value, affordable software solutions, designed to help nonprofit and public sector entities maintain compliance, generate revenue and build capacity.